AMP 150 is off the chain! 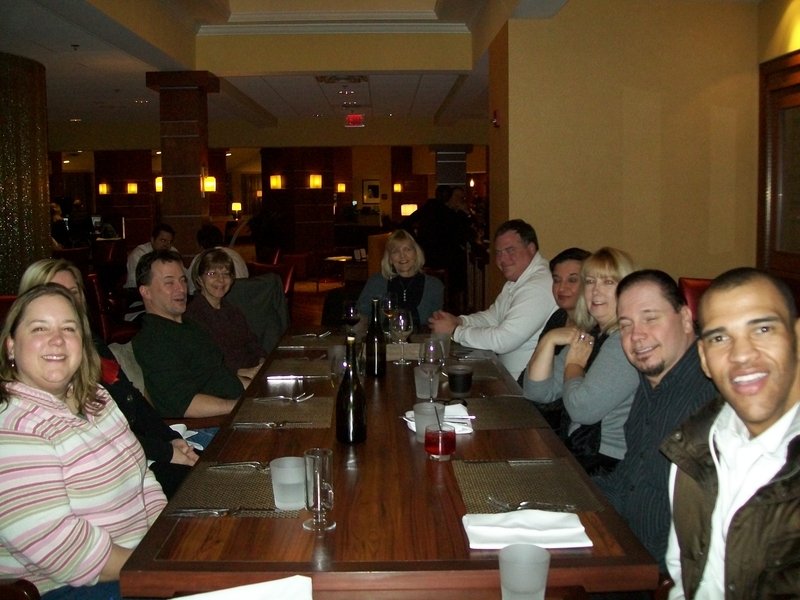 My dining out group went to AMP 150 last Thursday night and had such an enjoyable experience. My assistant organizer had been tweeting about his excitement in going there, so they were fully aware we were coming. Since he had tweeted his disappointment about his meal at Chinato the weekend before, Ellis (the executive chef) was particularly careful informing the waitstaff. The service was quite good with one exception, but the size of our group probably threw them off a bit. Lisa, our server, did a wonderful job waiting on us and had no problem giving us separate checks. 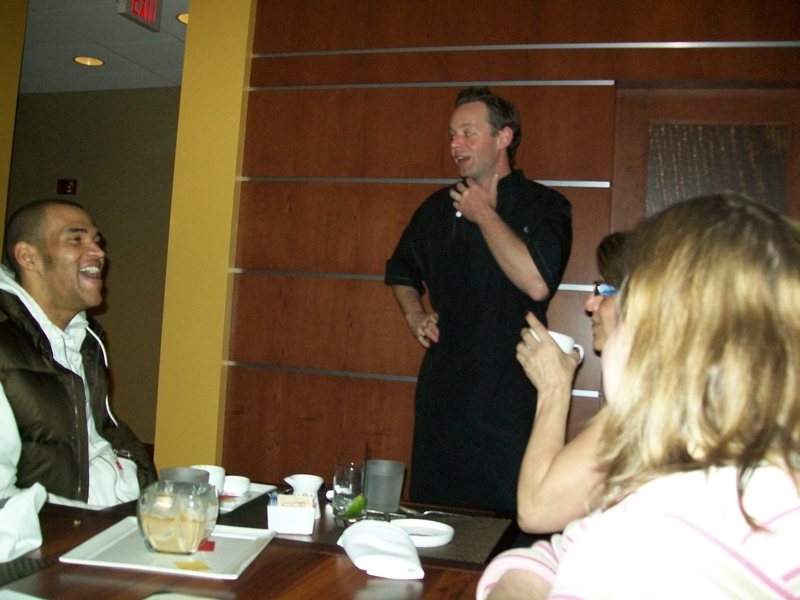 Chef Ellis greeted us before the meal and came out afterward to answer any questions. 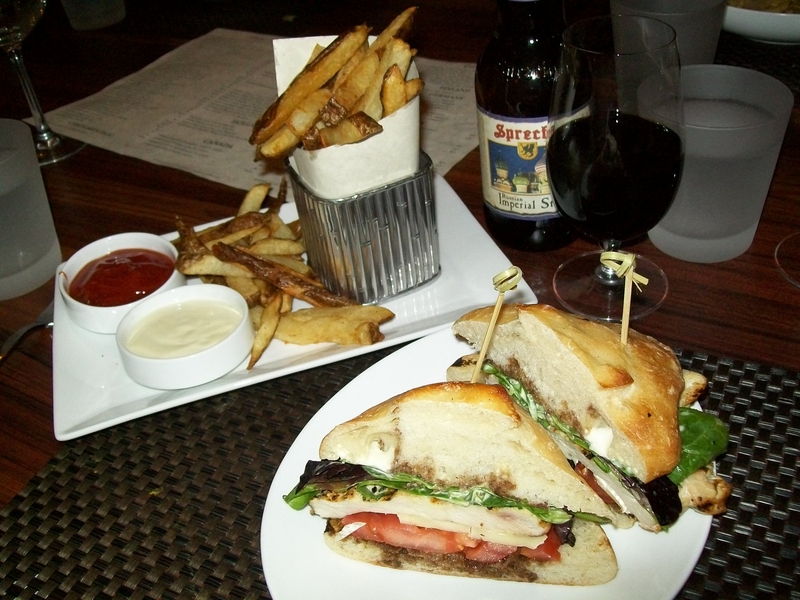 AMP 150 features local Northern Ohio “farming and culinary artisanship” so the menu changes regularly. They had two special “secret fan” meals on offer that night – a Facebook special with Velvet Mushroom soup, Glazed Chesapeake Bay Cod with bok choy, broken shrimp, edamame, and smoked onion broth and the warm chocolate cake and the Twitter special with the Velvet Mushroom soup, braised lamb with Chorizo and white beans, and a Lemongrass Crème Brulee. 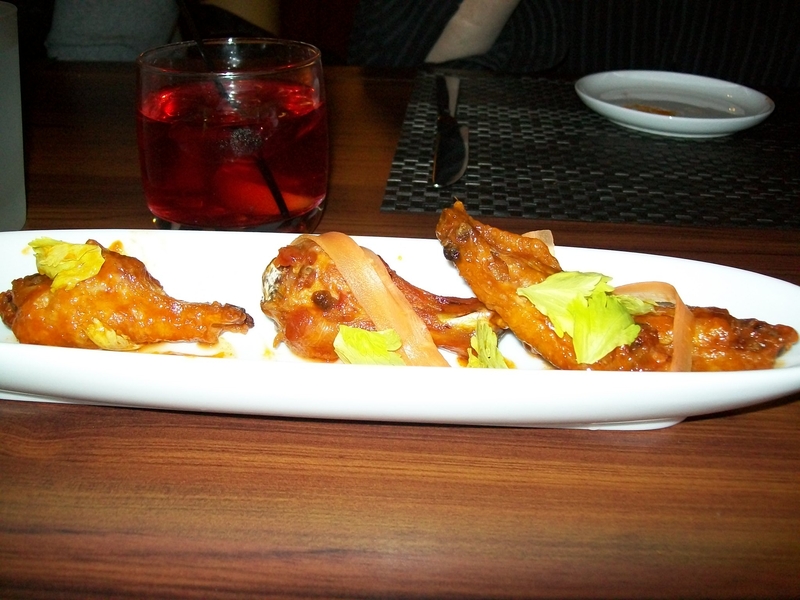 We started the meal by ordering an order of the sweet soy and peanut chicken wings with house-made kim chee and the spicy chicken wings. I was expecting more peanut flavor from the chicken wings, but they were indeed delicious. The housemade kim chee was not overpowering like kim chee usually is. I used to work at a Korean printing company in Germany and the smell of kim chee usually permeated the building since they worked and lived there. I enjoyed this version of kim chee. AMP 150 offers small plates and entrees, so there are enough choices to fit everyone’s budget and palate. I had a really hard time deciding. I ended up choosing the Facebook special. The Velvet Mushroom soup was creamy and delicious with a slight hint of smoke. I would order it again on its own if given the choice. 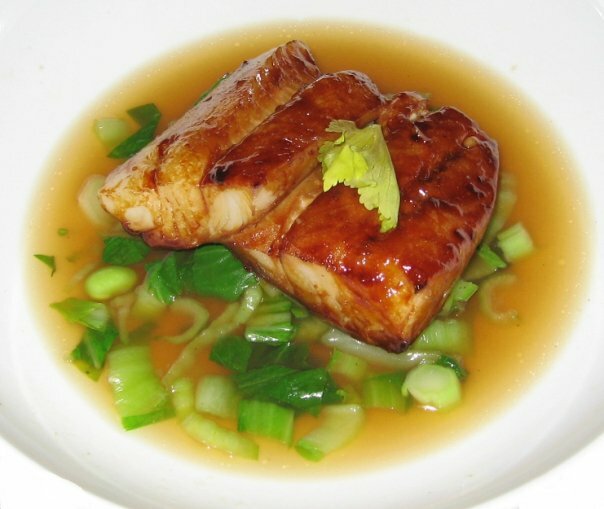 The Glazed Chesapeake Bay Cod with bok choy, broken shrimp, edamame, and smoked onion broth was a good choice for a low-fat meal (I’m on Nutrisystem, so I need to be good most of the week). The cod was flaky and the broth and vegetables were hot and delicious. The warm chocolate cake was served with a scoop of Jeni’s Double CoCo ice cream. Anyone who has ever tried Jeni’s Ice Cream would know that it is simply divine. The double coco could become a new favorite. It was rich and creamy and oh so chocolatey. The chef also sent out several items for us to try, including the braised lamb with farro risotto and celery root and the Fried Apple Pie with Jeni’s Honey Vanilla Ice Cream. Both were divine. 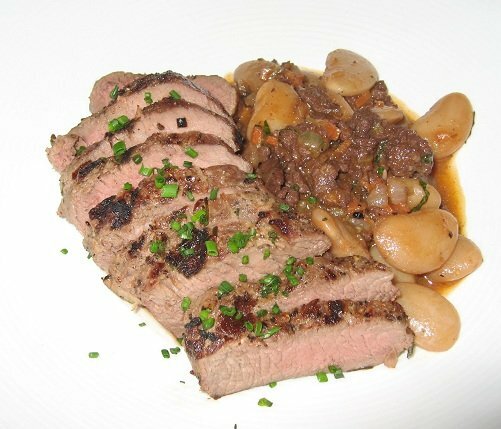 The braised lamb had sold out by the time we ordered, but they had saved a portion for us to try. Ellis explained to us that he serves a cut from the neck of the lamb, so it was flavorful and moist due to the ribbons of fat. 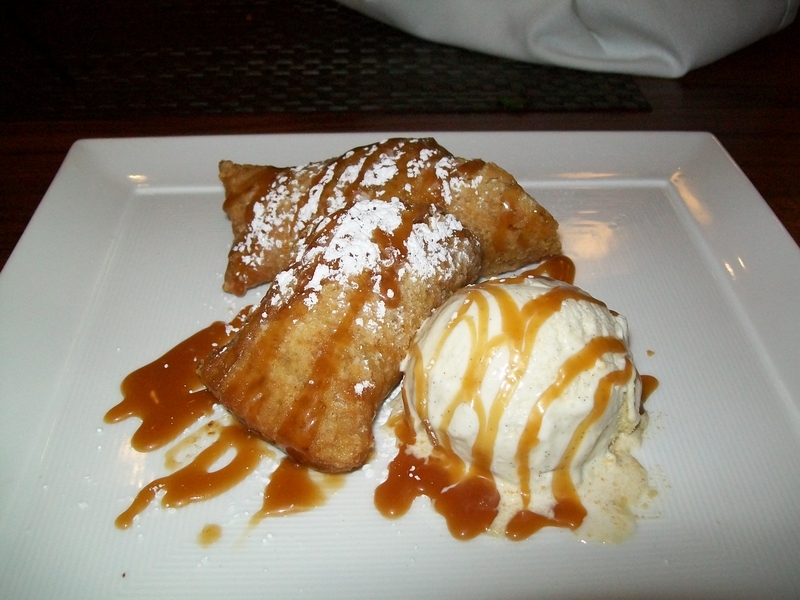 The fried apple pie was amazing. I think I might have liked it better than my warm chocolate cake. However, the real star of the night was the Milk Chocolate Pana Cotta with Jeni’s Salted Caramel ice cream and Malted Hazelnut Shake. I have eaten desserts in Europe and the U.S. and have never had such a delicious dessert. 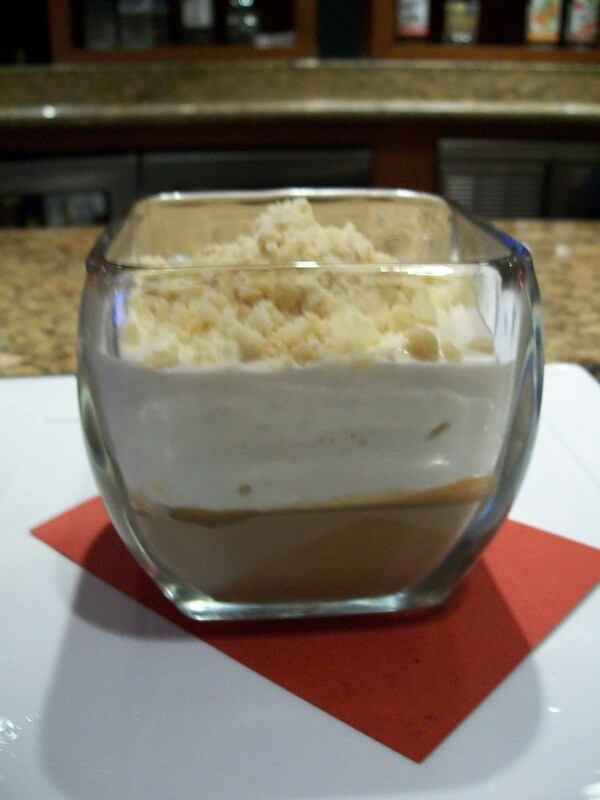 It was creamy and chocolatey, but not too overpowering. Simply divine! I cannot wait to go back and order it again. When I do go back (and it will be soon – my assistant organizer went back the next night!) I may just have to order the Chicken Paillard Sandwich with mixed greens, lemon herb vinaigrette, Brie cheese, and white truffle aioli or one of their delicious-sounding burgers to ensure I have room for the Pana Cotta. I can’t recommend AMP 150 enough, and I really hope you give it a try soon. Disclaimer: the really great, close-ups were taken by my assistant organizer. The other (lamer) photos were taken by me. I will be buying a Canon as well soon, so expect to see better, more artistic photos here very soon. Also..I’d love if you added mine to your Cleveland Foodies! Next Next post: My New Year’s resolution is to post more!